The Cape Lion is a species of extinct lions that disappeared in around the third quarter of the 19th century. At present, a photograph captured in Paris’ Jardin des Plantes, in 1860, is the only known live photo of the Cape lion. However, only a very few museums of natural history have kept Cape lion replicas in their collections, including skulls and mounted specimens. 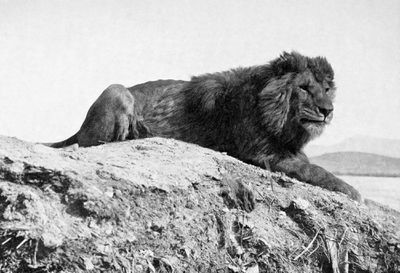 The exact details or the specific reason for the disappearance of these large lions is still debated and being researched. Most scientists, however, believe that there is not just one, but multiple causes for the extinction of the Cape lion. 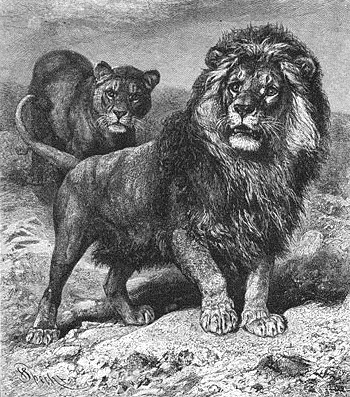 The population of these African lions diminished at a rapid rate following contact with the Europeans that settled in colonies in South Africa (just like many other animal species that went extinct forever because of their hunting). Such evidence also suggests that habitat destruction played a very minor role in their complete disappearance. The English and Dutch settlers, sportsmen, and local tribals and hunters simply hunted these big cats into extinction. Also, the increase in human population in the area swept away the herds of their natural prey that formed the most important sources of their daily food. 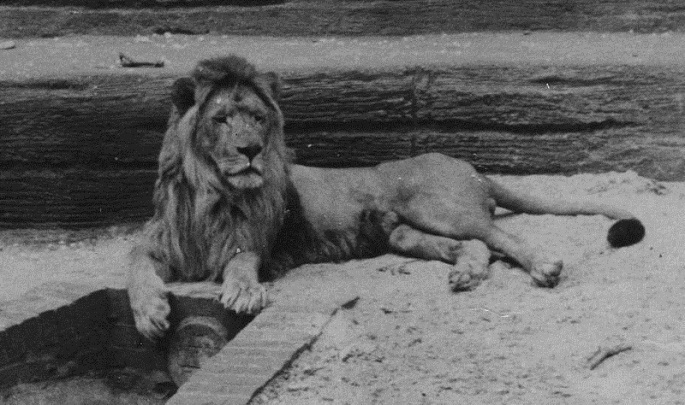 The lion was characterized by its large size. A full-grown male Cape lion weighed about 230 kg and could attain a length of around 7 feet. This made it the second largest and heaviest among the lion subspecies. However, the primary distinguishing characteristics of this large beast was its dense black mane, a gold fringe bordering the face, and the black-tipped ears. Their natural flesh-eating trait made the Cape lions ferocious. These animals preferred hunting big-size ungulates like deer, antelopes, as also giraffes, wild buffaloes, zebras, etc. These lions would also intrude inside the areas inhabited by the European settlers, preying upon their domesticated cattle, donkeys, etc. The stronghold of these big cats was Cape Province, an area around South Africa’s Cape Town, from which it gets its name. One of the last specimens was seen in the South African province was killed in 1858, while in 1876, the small cub that was bought by a Czech explorer named Emil Holub also died after two years. 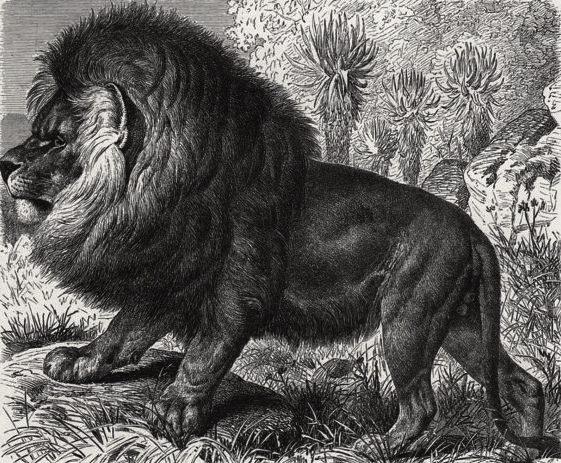 The Cape lions did not prey upon humans, naturally. Author Ahuin Haagner, in his book South African Mammals, wrote that, usually old Cape lions with bad teeth turned into man-eaters. Published on September 28th 2018 by admin under Mammals.